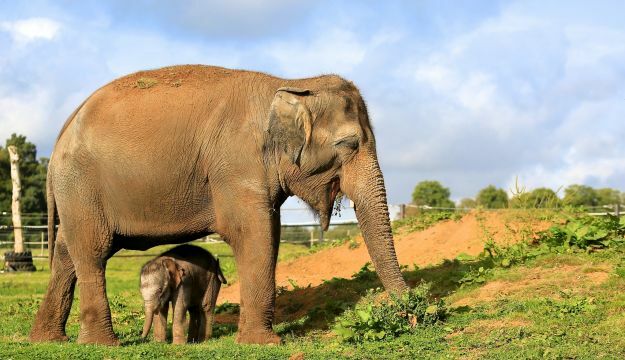 After a 22 month pregnancy the long awaited female calf was welcomed into the world by her mother and father, 20 year old Raja, who is Woburn’s only bull elephant, along with the rest of the Park’s five- strong herd. 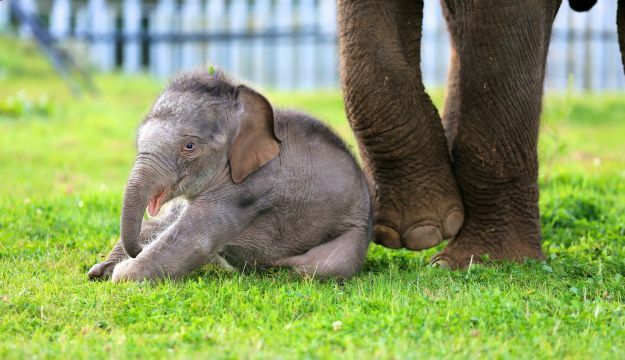 Standing just three foot tall and weighing a healthy 122kg, the calf is currently dwarfed by her mother but is expected to grow up to an impressive three metres tall and weigh in at a hefty four tonnes. Woburn’s Elephant team were thrilled to see the calf, which is yet to be named, up and walking within minutes of her arrival. 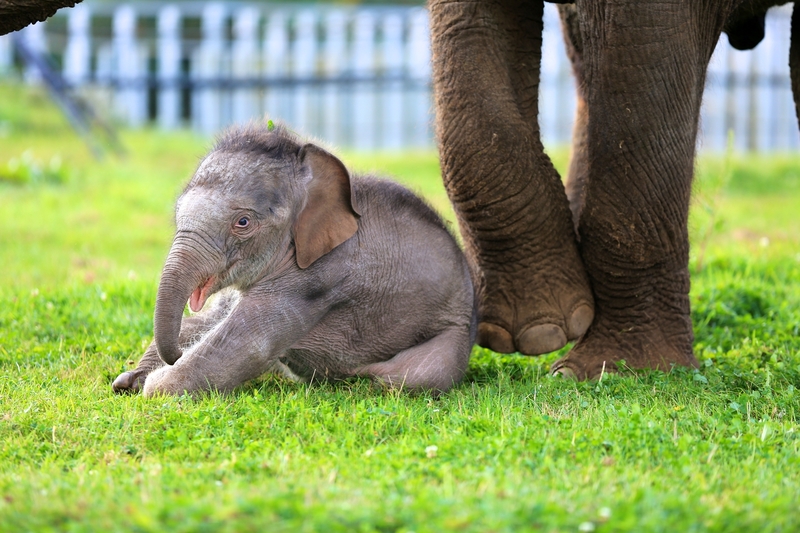 She is expected to spend her first few days bonding with her mother, exploring her new home in the elephant house, as well as meeting the other female elephants within the herd. For an amazing family day out, take a safari drive adventure in the heart of Bedfordshire! 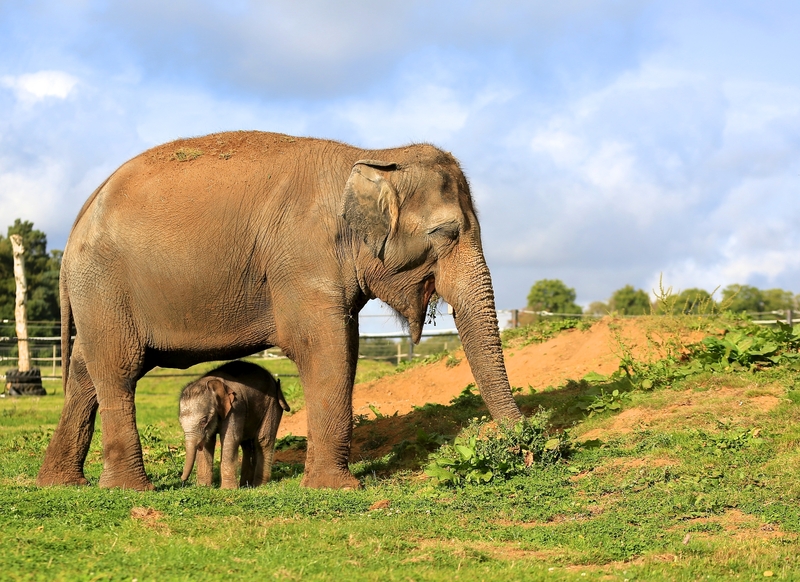 Opened in 1970, Woburn Safari Park is one of the UK’s oldest wild animal parks and has over 80 species of wild animals roaming in 300 acres of beautiful parkland. Established by the 13th Duke of Bedford on the grounds of Woburn Abbey, the park has a long history of species conservation dating back more than 100 years. Today, Woburn Safari Park is internationally recognised as a centre of excellence for the conservation of endangered wildlife and houses probably the biggest concentration of critically endangered African ungulates (hoofed mammals) on Earth. Woburn Safari Park is a member of and contributor to the British and Irish Association of Zoos and Aquariums (BIAZA) and the European Association of Zoos and Aquaria (EAZA). Woburn Abbey –Woburn Abbey has been the home of the Dukes of Bedford for nearly 400 years and is currently the home of the 15th Duke and his family. As such, it is steeped in a vast amount of history. It is not just the antique furniture and art that is an attraction; many of the previous residents of Woburn have extremely interesting and colourful pasts. Woburn Abbey Gardens – Woburn Abbey Gardens is the gardener’s garden. With events for all the family at the Gardens throughout the year for all to enjoy, including ‘Come and Grow’ session where all new and experienced gardeners can come and learn new skills. The Sculpture Gallery at Woburn – provides a premier, period backdrop for civil marriage ceremonies, partnerships, receptions and corporate events for up to 250 guests. Woburn Golf Club – home to three championship courses, all recognised in Golf World’s Top 100, the club has hosted nearly 50 professional tournaments. The Woburn Hotel – having welcomed travellers since the 18th century, The Hotel has 55 bedrooms, including seven cottages and facilities for weddings, conferences, meetings and banquets.